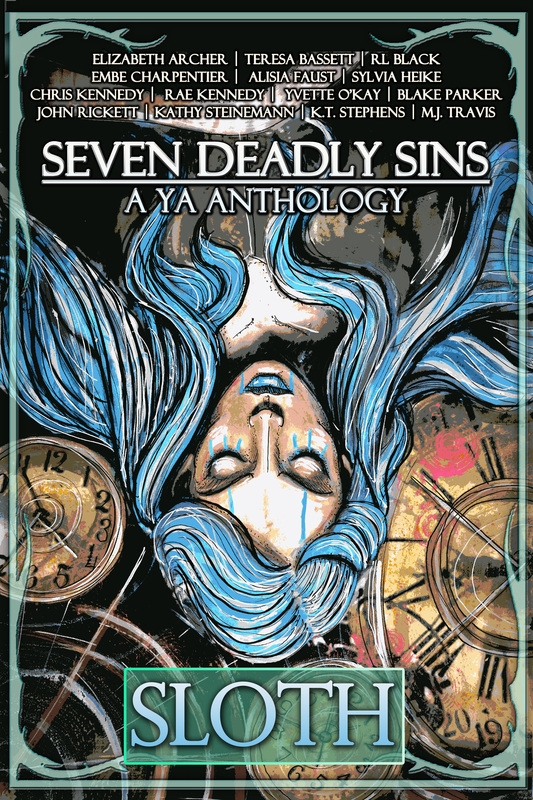 Release day for Seven Deadly Sins, A YA Anthology: SLOTH! This is volume 2 of a seven-volume series highlighting Scribophile Young Adult authors. Here are the links! Please consider posting a review! The second volume of Seven Deadly Sins, A YA Anthology is due to be released shortly. I’m going to whet your appetite for more excellent YA stories from Scribophile members. Sloth. (/ˈsloʊθ/ SLOHTH, /ˈslɒθ/ SLOTH/) 1. Failure to do things one should. 2. A wasting due to lack of use; concerns a person, place, thing, skill or tangible ideal that would require maintenance, refinement or support to continue to exist. 3. Evil that exists when good men fail to act. The writers of the Seven Deadly Sins Anthology celebrate and pay tribute to the emotional and mental turmoil that is being a teenager. Fourteen authors, fourteen stories. One theme: Sloth. Mom always told you to clean up, or you’d regret it. But how bad could your locker get? Two girls find out it could get much stranger than they ever expected. . .
Elizabeth Archer lives in Texas and dreams of other places and other worlds. She writes poetry, fiction and too many novels. Her current passion is fairy tales. She has been published in a variety of places, including Seven Deadly Sins, A YA Anthology, Volume 1: Pride. Art student Raine loves her boyfriend, but his lazy ways drive her crazy. When her self-portrait is included in an art exhibition, her relationship also comes under scrutiny. Teresa Bassett is a writer from Cornwall’s ‘clay country,’ UK. She has written stories and articles for numerous magazines and anthologies, including Seven Deadly Sins, A YA Anthology, Volume 1: Pride. A graduate of the University of Bath, she has worked as a foreign tour guide, translator and teacher. Her favourite times are spent ‘up on the Downs,’ exploring Cornwall with husband Mark and rescued greyhound Jinty. David Wheeler must get a book report finished, or else he won’t get his driver’s license. He comes up with a plan, only to find that the lazy way out may cost more than what he bargained for. RL Black lives in Tennessee and writes mostly flash fiction. She is EIC of two online journals, and her own work has been published in journals across the web. Connect with RL on her Website where she blogs and reblogs about writing, LOST, and art. Jolene reluctantly cares for her aging aunt in the wilds of Mississippi. As more and more evidence of the supernatural sends her into unknown territory, an abandoned city, the Elysian Fields, provides the clue. Jolene dispenses with her lazy ways to fight back. But did she wait too long to avoid a fate more terrifying than death? Embe Charpentier, a teacher by day and writer by night, has always been fascinated with the strange and unusual. Kellan Books will publish her paranormal romance novella, “Beloved Dead,” in December 2015. She has been published in nine magazines in 2015, including LitroNY, Gambling the Aisle, and Polychrome Ink. Embe is presently working with publishers at Written World Communications on a book series for struggling readers. Briana is enthusiastic about her first year in college, and soon gets caught up in a whirlwind romance with another woman. Distracted by her new-found love, Briana ignores her family’s attempts at communication. Now she is haunted by her past choices as she watches her mother’s funeral continue around her. Alisia Faust began writing when she was between jobs with too much time on her hands. Now she’s juggling work and three different writing projects with no time on her hands. She is primarily a flash fiction writer because it caters to her ever-shortening attention span. Her stories have been published in Fifty Word Stories, 100 Worlds: Lightning-Quick SF and Fantasy Tales anthology, Apocrypha and Abstractions, SpeckLit, and Seven Deadly Sins, A YA Anthology, Volume 1: Pride. Zombies aren’t the only thing wanting to eat you in the woods, but only one person can see that, and no one believes a teenager. How can he get adults and other kids to see that the sluggish zombies–dead and sick and thus relatively harmless–aren’t the real danger? Something else roams outside the camp, hungry and waiting. Sylvia Heike lives in Finland. When not writing, she enjoys hare spotting in the garden and long walks in the forest. Her stories have appeared in freeze frame fiction, Luna Station Quarterly, Molotov Cocktail, and other publications. Good things can happen in foster homes. Terrible things can happen in foster homes, things no one ever wants to discuss. When her foster mother requests a written task, Maisie takes the opportunity to write a letter to the authorities that will reveal years of neglect, abuse and alcoholism. The question is: will they believe her? Greg wasn’t like the rest of the kids in his class. He had to forego college in order to run the Youth Hostel his stepfather owned. But Greg didn’t mind at all. He enjoyed cooking for the guests and getting to know them. He had a time schedule to get everything done, along with an amazing system to encourage the visitors to help out. Then what was the problem with his stepfather? A word, nothing but a simple word created a being of pure energy. It vampires off of us, our actions are what sustains it’s life. You can almost never see it. But in the middle of the night when you are sitting all alone and the only light is coming from the television, you can see it at work. You reach for the remote, but it’s gone… and you discover you’re too lazy to go and get it. So, instead, you fall asleep, and it survives. Yvette O’Kay is a writing goddess that has been writing ever since she was a little girl. She is from New York and this is her very first publication. Yvette is a full time student and author and often has troubles balancing the two, but in the end the satisfaction of finishing a story outweighs anything else for her. Everyone around Olivia is frustrated that she isn’t living up to her potential. Her mother tells her she won’t put up with an indolent teenager. Her teacher gazes upon her with clear disappointment. But there is someone who knows the truth about Olivia. Blake Parker is of the female gender, since the name itself doesn’t give that away. Physically, she resides in Canada. Otherwise, she lives in the contrivance of whatever place she’s wanting to visit – like Oslo. At times, Blake’s love of travel merges her imagination with reality. In day-to-day life, Blake loves paradoxes. For example, the paradox of supporting her obsession with scotch on a limited budget. Or the paradox of running her own business as a social media consultant while, to the chagrin of her friends, never actually using social media for personal use. Somewhere, in between the paradoxes and fantasy of living in far-away places, Blake finds the time, and enjoyment, to write. In the game, World of Dragons, Josh has mountains of gold, a sprawling castle and a slew of followers. At home, his soccer gear sits unused in the corner; he hasn’t moved from his chair in months; urine stains his pant legs. His mother worries she’s losing her son to the virtual world. As Josh wastes away, both realize that when you hate your reality, you construct another. John Rickett dwells in the armpit of America, where he claws at the walls, escaping his suburban nightmare by performing woodworking ninjutsu and moonlighting as a word-sorcerer. His post-apocolyptic fairytale retelling, Three Brittle pigs, recently appeared in The Molotov Cocktail and has been selected to appear in their first print anthology. Four adolescent Zarminixian recruits must learn about Earth before they infiltrate the planet. The time could be the future—or now. They struggle to understand the human sin known as sloth. Zarkaa, Vaardon, Kahilii, and Raiidorr must provide the correct answers to a pop quiz within two time units. However, Professor Wixnaar puts an unusual obstacle in their path. Will anyone succeed? Or will they all be sent to the principal for expunction and reassignment? Kathy Steinemann has loved writing for as long as she can remember. As a child, she scribbled poems and stories. During the progression of her love affair with words, she won public-speaking and writing awards. Her career has taken varying directions, including positions as editor of a small-town paper, computer-network administrator, and webmaster. Her work has appeared in various online and print publications, including Fine Linen, Saturday Night Reader, Unbroken, Vræyda Literary, and Mash Stories. Kathy tries to write something every day. Jay made a mistake. Now his mom sends him across the country to live with his dad, who he hasn’t seen since he was three years old. Jay is thrust into a world of bachelorhood and unreasonable rules. After his first day at the new school, his father insists on a schedule change: drop his favorite class to do community service. He complies, but when he arrives at the job, Jay finds much more than yard work: an old man with a strange story, a treasure hunt involving his father and a foreigner who has been searching for peace for over sixty years. But the biggest surprise is yet to come. K.T. Stephens writes YA and children’s books and is especially enamored of anything having to do with the circus. 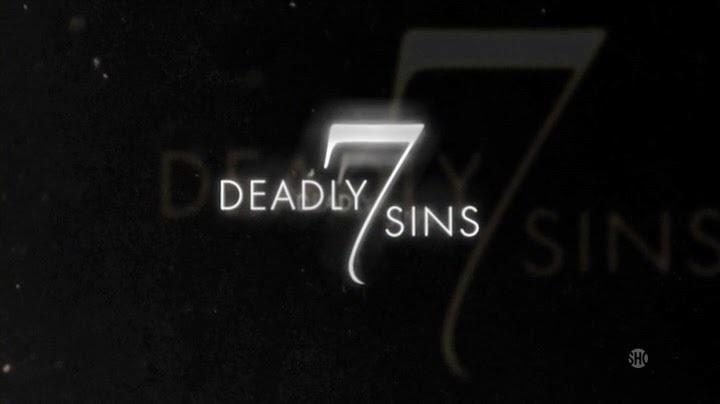 Her story, “Balancing Act,” appears in Seven Deadly Sins, A YA Anthology, Volume 1: Pride. K.T.’s stories tend to be multi-generational, as she loves to explore the past and how it relates to the present. Her adult persona, Katie Stephens, has numerous literary and romance publications, the most recent through Mélange Publishing. Although her grown children are scattered east and west across the country, she lives solidly in mid-America with two kitties and a husband who keeps asking when she’s really going to retire. Seventeen-year-old Brian Whitley takes his athletic abilities for granted. While the team’s second-string quarterback works tirelessly on the field, Brian skips practices, stays up late and feels entitled to the favors and admiration that come from being East Boone High’s winning quarterback. With the State Championship game only a few days away, will Brian realize too late that putting in the effort benefits not only the team, but himself? If you like this cover, you should see his other designs at freeze frame fiction!